This article was written By Newsbot on 03 Apr 2019, and is filed under News. The 9th Annual San Diego Asian Film Festival (SDAFF) Spring Showcase, presented by Pacific Arts Movement (Pac Arts) will be taking place on April 11-18 at the UltraStar Mission Valley. This year, a majority of the showcased films highlight South Asian and Southeast Asian stories. There will also be a special collection of milestone Filipino films shown as a part of the program “From The Claws of Darkness: Restoring Philippine Cinema”, which brings the second golden age of Philippine film to the big screen for audiences to enjoy once again, including Moral, Himala, Batch ’81 and Manila in the Claws of Light. “With our extensive focus on new films from South and Southeast Asia and our retrospective of classics from the Philippines, we aim for nothing less than transforming the face of Asian cinema here in the United States,” says Pac Arts Artistic Director Brian Hu. This year’s SDAFF Spring Showcase will also screen four films that shed light on queer Asian stories spanning time and place including Ek Ladki Ko Dekha Toh Aisa Laga, Go Back to China, Song Lang, Memories of My Body and First Night Nerves. Program highlights include Opening Night choice First Night Nerves in which an anticipated new play brings together rivals actresses. Drama unfolds as past secrets are discovered both backstage and on-stage in this comedic yet dramatic story from widely celebrated director Stanley Kwan. As the first high-profile Bollywood film centering on a lesbian character, Ek Ladki Ko Dekha To Aisa Laga is a gorgeous drama testing the bonds of family with a comedy of misrecognition. With his latest feature Swing Kids, Kang Hyoung-Chul paints a picture of the harsh reality of life in a POW camp set to the sound of persistent tap shoes during the Korean War. Featuring K-pop star Do Kyung-soo (D.O. of EXO) and Broadway star Jared Grimes, this is a thrilling story of overcoming the obstacles of oppression and war through dance. This year’s SDAFF Spring Showcase special series is “From The Claws of Darkness: Restoring Philippine Cinema”, a presentation of the some of the most important works of the second golden age of Philippine cinema and a celebration of the 100 years of the country’s film history. 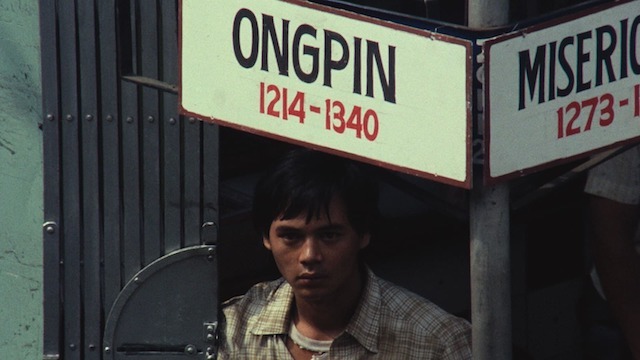 Lino Brocka’s legendary Manila in the Claws of Light is the consensus pick as the greatest Filipino film of all time and bakes 1970s romanticism into gritty urban realism to create a sweaty noir masterpiece. For the full program and ticket booking facility, visit the festival website.